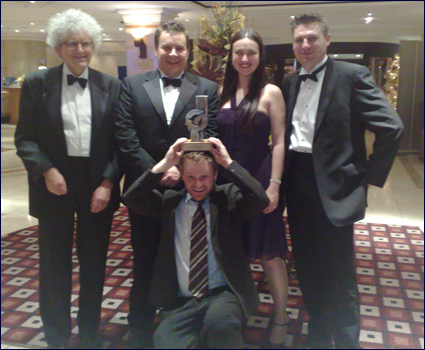 Our sister site The Periodic Table of Videos picked up a prestigous IChemE award at the 2008 event in Birmingham. On hand to pick up the award were website and video creator Brady Haran, along with the stars of the videos - Martyn Poliakoff, Pete Licence, Stephen Liddle and Debbie Kays. They won the Petronas Award for excellence in education and training.